The Ryugu Cave is a large open topped cavity in the sea. It formed when its ‘roof’ crumbled due to erosion, leaving an opening of about 50 m in diameter. 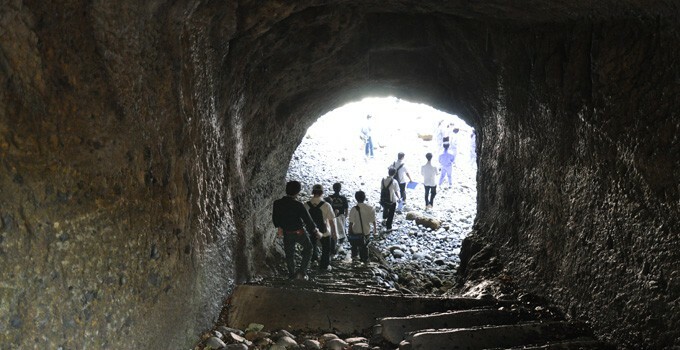 Visitors can walk into the cave and stand right beneath the opening. The multilayered volcanic lapillus of cinnamon color covers the walls of the cave. The contrast with the blue sea creates an esoteric air.